I was elected to represent Brynmawr on the Blaenau Gwent County Borough Council in May 2017. I lived in Brynmawr since getting married in 1964. I worked in the Steelworks in Ebbw Vale for over 40 years the last two of which I spent in the Netherlands. I retired in 2002 and have since spent my time volunteering in various organisations. I was a founder member of the “Friends of Parc Nant-y-Waun” a volunteer group that has raised over a quarter of a million pounds used to improve the area of ground located between Brynmawr, Nantyglo and Beaufort for the benefit of the local community. The area has now been declared a Local Nature Reserve. I am chair of finance on the governing body of Brynmawr Foundation School and link governor for safeguarding at Ysgol Gymraeg Bro Helig. 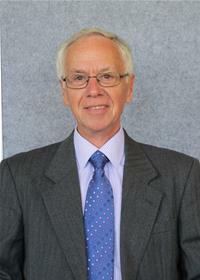 I am chairman of the Blaenau Gwent Association of School Governors and sit on the board of Governors Wales. I am Chairman of Brynmawr Museum and I am on the committee of the Brynmawr Historical Society. It’s a privilege to be a member of the Brecon Beacons National Park Authority and hope that I can contribute something to ensure its continued success.